Published: Jan. 22, 2013 at 09:44 p.m. Updated: Oct. 16, 2013 at 04:43 p.m. The Dallas Cowboys have another player in trouble with the law in a drunken-driving case. 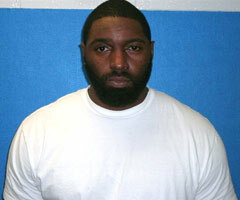 Starting nose tackle Jay Ratliff was arrested and charged with DWI early Tuesday after his black Ford F-150 truck struck an 18-wheeler in Grapevine, Texas, police senior officer Sam Shemwell told NFL.com and NFL Network. Ratliff -- the sole occupant of the vehicle -- was not injured in the crash. He was arrested after officers who responded to the scene determined he was intoxicated. Raliff was arraigned and bonded out of jail Tuesday morning. A breath sample to determine intoxication was refused, according to Shemwell. A search warrant was asked for and received to draw blood, but toxicology results still are pending. Police determined Ratliff was at fault in the crash. Ratliff's arrest comes six weeks after teammate and friend Josh Brent was arrested following an accident that took the life of Cowboys practice-squad linebacker Jerry Brown. Brent was indicted on one count of intoxicated manslaughter and faces a maximum of 20 years behind bars if convicted. Following the Brown tragedy, a team consultant said the Cowboys were looking into setting up all players with SafeKey, an electronic device that prevents vehicles from starting when a driver is impaired. Ratliff is coming off a season in which injuries limited him to just six games. He reportedly got into a "volcanic" exchange over a disagreement with Cowboys owner Jerry Jones after a December win. Jones -- who's in Mobile, Ala., for Senior Bowl week -- spoke about Ratliff on Tuesday afternoon. "As far as I'm concerned, he is outstanding, he has given everything he's ever had to the Dallas Cowboys," Jones said, via ESPN.com. "With me, any of that emotion that were involved between us is only reflected back on many times that we've had in our own way some emotional time with each other. And it in no way before was ever contentious. "So when you've got the kind of background we've got together, then if you have a moment that you might not have been on the same page, that's like father-son, that's like family, that's like all that. That's forgotten when you know each other has your best interests at heart. We both know that." It's unclear if Jones was aware of Ratliff's arrest at the time of the comments. Expect Jones to have more thoughts on Ratliff in the very near future.